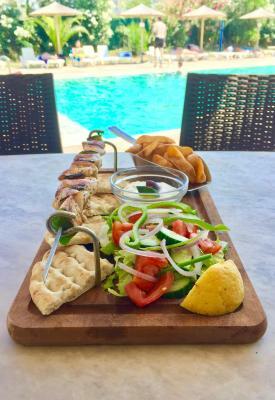 Located just outside the beach resort of Kavos, Koulouris Beach Hotel offers a range of self-catering accommodations and standard guest rooms. The resort complex is made up of 5 buildings scattered around the large landscaped gardens and pool, directly overlooking the beach. Accommodations are simply designed, yet functional. All of the guest rooms and apartments offer either a balcony or veranda with views of the garden. 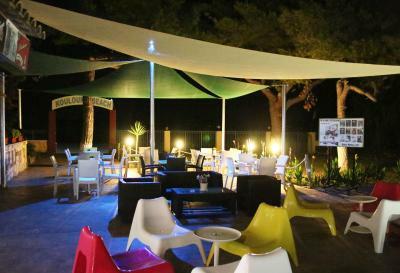 The Koulouris Beach Hotel has a large swimming pool with adjoining children’s pool, a restaurant and a 24-hour pool bar. 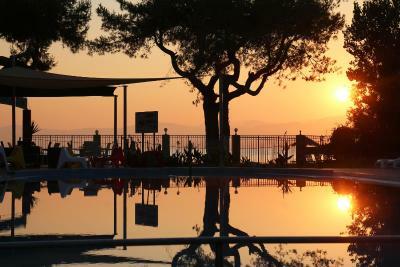 The Koulouris is ideally located just a short walk along the beach from the lively resort of Kavos. Guests will find the resort’s many bars, clubs, shops and restaurants just 1,000 feet away. 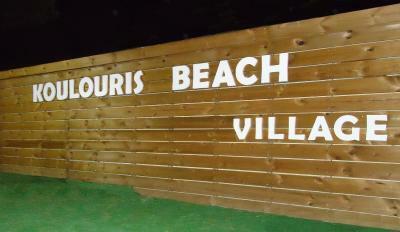 When would you like to stay at Koulouris Beach Hotel? House Rules Koulouris Beach Hotel takes special requests – add in the next step! Koulouris Beach Hotel accepts these cards and reserves the right to temporarily hold an amount prior to arrival. During July and August, Kavos may not be suitable those in search of a tranquil holiday. Please note that air conditioning comes at extra charge and is payed directly at the hotel. We need at least 5 reviews before we can calculate a review score. If you book and review your stay, you can help Koulouris Beach Hotel meet this goal. They didnt come to clean and empty the trash can every day (only once in 4 days I believe). We only got one towel each which we had to use for all 4 days. The pool beds are plastic and not comfortable. We actually went to another hotel every day as we met some people there. The hotel is a bit farther from the rest of the town but it's doable. Some of the neighbors were really loud (a lot of young people).